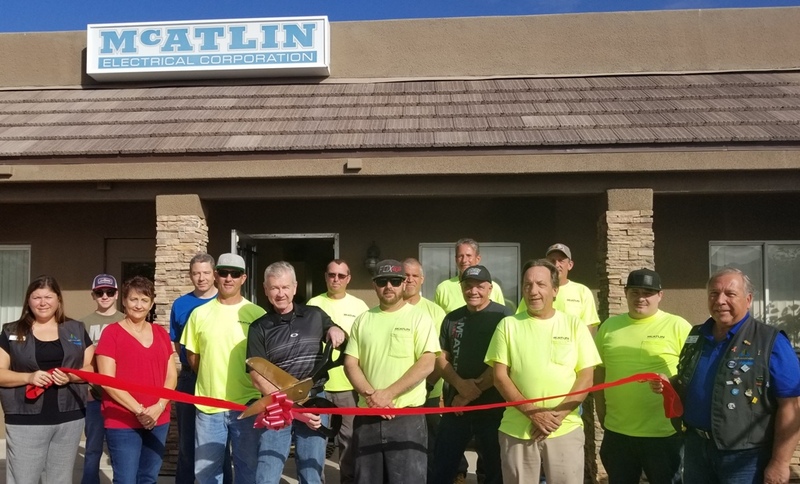 The Lake Havasu Area Chamber Ambassadors held a ribbon cutting ceremony for McAtlin Electrical Corp., located at 2899 Maricopa Ave. Celebrating 30 years as a Chamber member. Family owned and operated providing on-time service with integrity and quality workmanship at competitive rates. Working with the Lake Havasu Area Chamber of Commerce to strengthen the local economy for the past 30 years. Attending were Ambassadors Teri Jameson and Tom Otero; Don Klostermeier cutting the ribbon with the McAtlin Electrical team’s support.